Can any owners comment on this watch? Love the hits of yellow and sharp lines, just wondering what it’s like to wear day to day. Not an owner but I tried one on at the AD. They were a comfortable 45-60 seconds. IMO, it wears well on a 6.5" wrist and looks much better than in photos. The lines just come together in 3D much better than in a photo. I've been a fan since it was released. I'm not in the market anymore for more watches but it is certainly an attractive watch!!!! Terrific watch and a great daily driver. Great for casual wear and dresses up OK. The North Flag wears very well. It's no lightweight to be sure, but the bracelet supports the watch extremely well, making it a comfortable watch for daily wear. I've owned my North Flag for one year and love it. 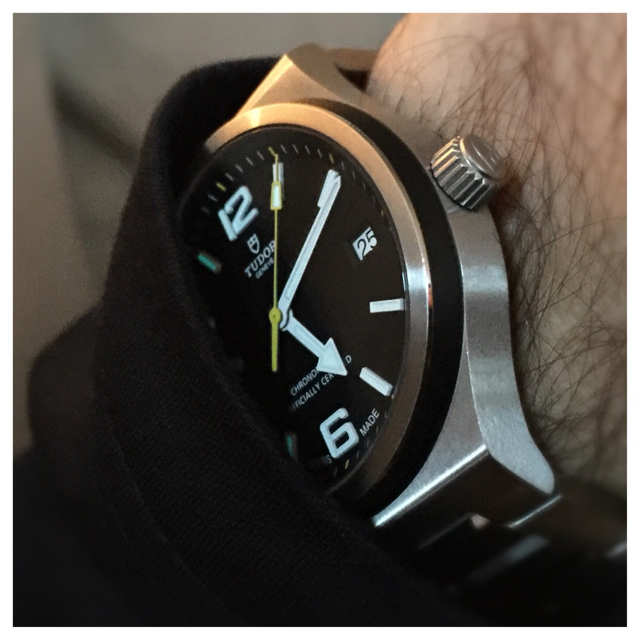 Incredibly legible, incredibly accurate with a modern movement and a long power reserve. If we go on the road for more than a few days and I take one watch, it is the North Flag. It's the one watch I don't mind getting a few scratches because it is the very definition of a tool watch. I purchased it on the bracelet and later bought the OEM leather strap and deployant. 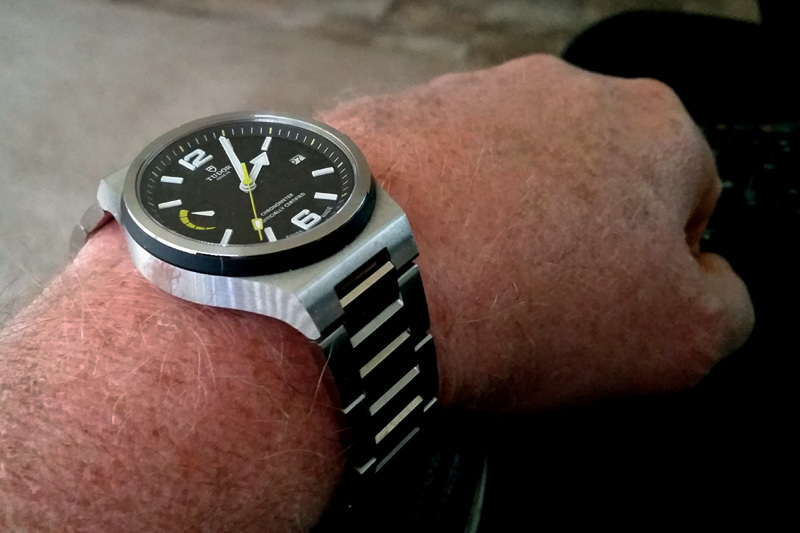 Both are quite comfortable but the deployant doesn't always hit me in the right spot on my wrist. The spring bars are so small that I find it hard to install or re-install the bracelet. The leather strap is easy though. Loos nice. Iread the review, well done! On my list for sure, my long long list. I think this one may have some collectability, being the first Tudor w/ in house movement, great details too. I for one love the power reserve complication, very unique. Wasn’t a fan until I tried it on. Tthen I had to have it. Bought it on the spot. Love it on my wrist. I bought one yesterday and absolutely love it. Does anyone know what the hands are made of? I had one and really enjoyed it. Flipped it towards an Explorer II otherwise I would have kept it. I wear mine 2-3 days per week on average. Over my year of ownership, I find I just like it more and more. 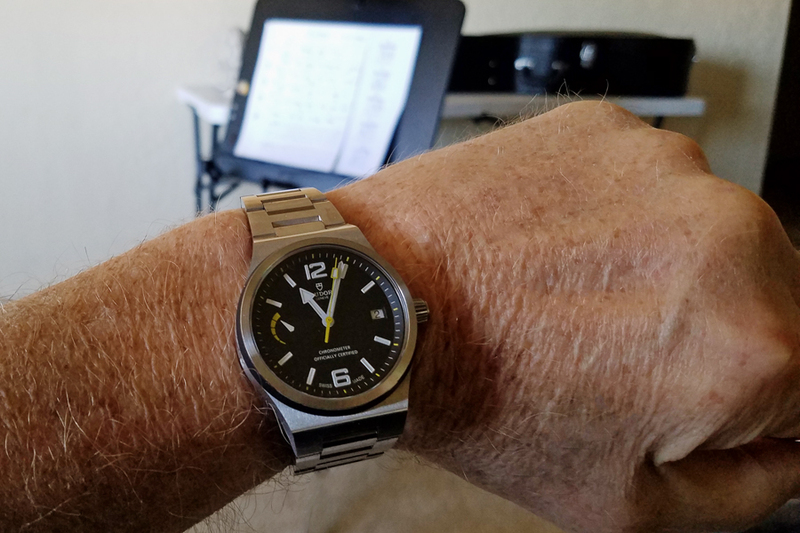 Super comfortable (I was a little concerned due to the perceived sharpness of the case and bracelet - but no issue), super accurate (mine is -2/day) and the long power reserve means it's easy to swap in and out of rotation. Couldn't be happier!